DynoTune Product, 622.6-11-14 Mustang Nitrous System - DynoTune, Nitrous systems, Purge kits, Nitrous Bottle heaters and more! 11-2014 Mustang Nitrous System(V8&V6 engines). Adjustable from 75-150HP. Comes with eveything you need. Comes with the Fuel Adaptor seen below so you can quickly install the kit. >Wet Nozzle Mounting adaptor so the Nozzle does not blow out during injection causing a fire, makes mounting the nozzle in plastic or rubber a snap! >Lighted arming switch, relay, wire and wire harness, fuse, crimp terminals etc..
>Our 22 page Nitrous installation and tuning book is included! 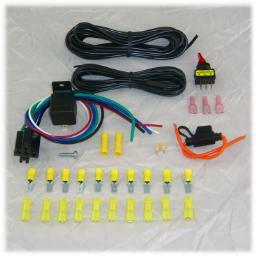 Full pictures and detailed installation instructions for the mustang application. Stainless steel components are standard on all DynoTune Nitrous kits, not plastic or brass. This DynoTune Nitrous kit is tuned for a safe reliable Horsepower increase. More and more folks are switching to DynoTune products due to the price, Performance, innovation and support you will get with no other Manufacturer. Isn�t it time you made the switch?